The Business Intelligence System is particularly useful for directors, managers and executives who wish to analyse and record possible trends in organisational performance. This useful tool can serve the needs of SMEs by ensuring in-depth analysis, processing and presentation of business information. Flexible – The Cycom Business Intelligence System offers unrestricted flexibility by allowing you to customise the output of the configured reports and charts according to your business requirements. Simple to Use – The Cycom Business Intelligence System, constitutes a simple-to-use and comprehensive solution, which enables the company to shape its business strategy. Multiple Data Analysis – The analysis of data is capable of being performed at multiple levels, in combination from multiple sources and thus, deriving the corresponding outcome in multiple formats and graphic capabilities. Integrated – The Business Intelligence System is fully interfaced with the CYCOM Product Suite and Cycom Sofia Platform and provides instant information and access to all relevant data. Drag & Drop Functionality – The System allows the user to define the primary and secondary elements, to build its customised analytical cube and finally drag and relate the content of the vertical or horizontal bar accordingly. 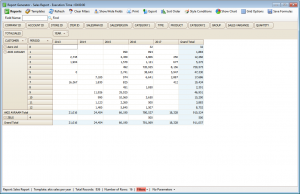 Multiple report formats and graphic capabilities – The data may be processed in multiple formats and various graphical displays may be extracted. 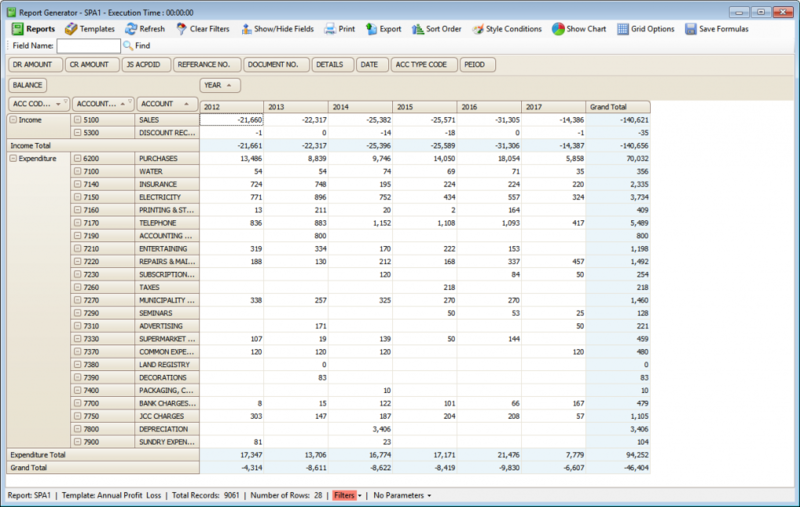 Fully accessible Business Intelligence solution – The Cycom Business Intelligence System is fully acces­sible. Multiple databases may be connected and multi-dimen­sional data analysis may be performed. Further, data export may take place in many alternative formats. Fully integrated—the system is fully interfaced with the both the Sofia Platform Applications as well as CYCOM Product Suite. 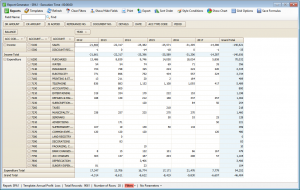 Drag & Drop—easily form the relationship between relational fields from the tables of the database and build instant reports by constructing your analytical cubes. Multiple Data Analysis—the analysis of data is being performed at multiple levels, in combination from multiple sources and thus, deriving the corresponding outcome in multiple formats and graphic capabilities. 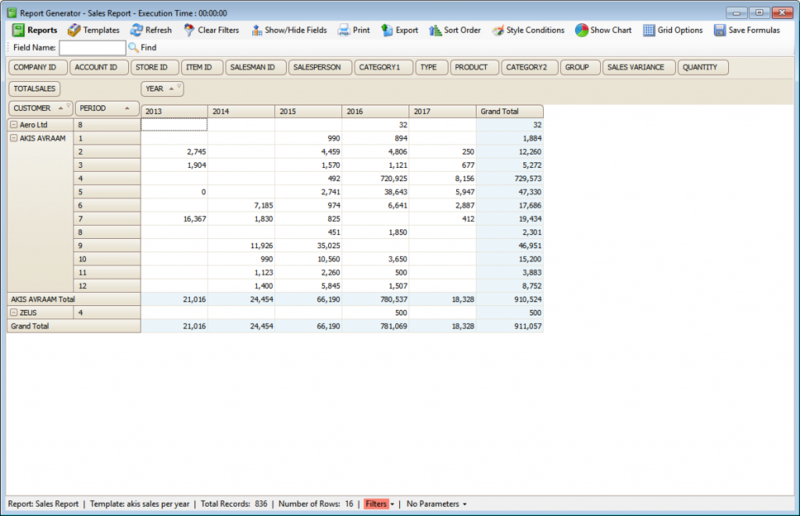 Multiple report formats and graphs—the data may be processed in multiple formats and various graphical displays may be extracted. 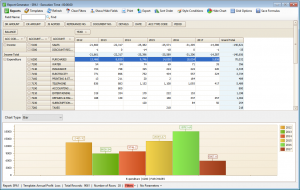 Fully accessible Business Intelligence solution—multiple databases may be connected and multi-dimensional data analysis may be performed. New capability for statistical information migration—for companies that have migrated to a new application without the need for export & import of files or data conversion among legacy systems. Instant Personalize View of Reports—the user has the capability to obtain personalized views of the key information. View and analyse data relationships graphically—the user can drill down, rank, sort and filter information, which can further be viewed in graphical forms.